Now is the time of year that many farmers across the country are considering spreading chemical fertiliser. Before hitting the fields, it’s important to get your machine ready to spread for whatever product you are putting out. 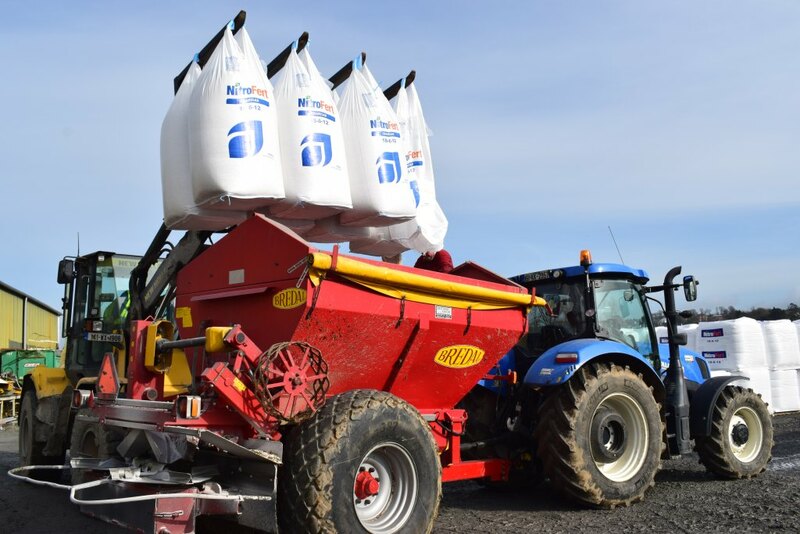 This preparation is easier than you may think and as fertiliser is one of the biggest input costs on any farm it pays to have it set correctly. Use gloves and a long-handled knife for opening bags and handling fertiliser. Ensure all machinery is turned off and is securely and correctly fitted. Chemical fertiliser is corrosive so it’s important to clean your machine out thoroughly after use and dispose of the washings in an environmentally responsible way – not into a watercourse. Oil your spreader to protect it from rust and corrosion. Check the general condition of the spreader. Consider the spreading discs – checking that they are secure. Also check the condition of the agitators and the position and condition of the vanes – making sure they are not showing signs of wear and tear. A vane with holes cannot spread accurately or evenly. Ensure your spreader is set at the correct height for the crop and that it is level from front to back and from left to right. Conduct a tray test to assess that you are achieving an even spread pattern. If you do not have the kit to do a test then contact your local spreader dealer who will arrange one for you. This is essential for the accurate application of fertiliser. Fertiliser applied at the correct rate and uniformly spread is more likely to increase productivity and crop quality at minimum risk to the environment. As calibration of different spreader makes and models vary, NitroFert recommends farmers to always follow their spreader manufacturer guidelines in setting their machine for application rate and spread pattern. NitroFert has its products listed with the various spreader companies and that will help when setting your spreader for those fertilisers. The quality of fertiliser you use is a key influence on application rate and in achieving a good spread pattern. All NitroFert fertilisers are sourced from the largest and most reputable manufacturers of quality fertilisers around the world. 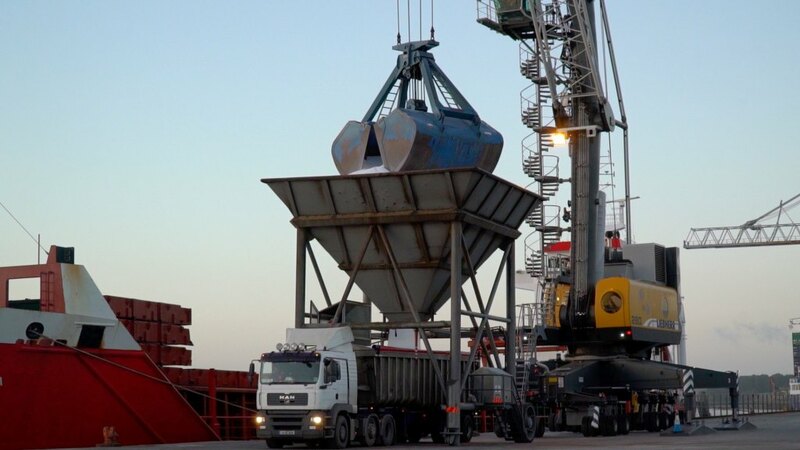 When material arrives to the NitroFerts premises in New Ross, it is carefully sampled, tested, screened and blended to ensure it is dust and lump free and of the best possible quality before going out to its customers. NitroFert Dairy Select range is a specially formulated range of high performance ammonium nitrate based fertilisers that will help maximise your grass yield potential. Their high solubility gives a faster response on grass growth after cutting or grazing and it also contains sulphur which is critical for plant protein, sugar content and dry matter (DM) yield. The granules have a high strength factor meaning that they don’t shatter upon impact when being hit out of the spreader and by holding their shape they travel easily. NitroFert has had Dairy Select independently tested outside in field tests for spreadability where it has performed excellently. For example, Dairy Select CAN gave an average coefficient of variation (CV) value of 3.3% over 24m. The CV is a measure of how evenly a product spreads; the lower the CV value the better the spread. This was an excellent test result and gives farmers the assurance that NitroFert products spread both accurately and efficiently and help farmers achieve a profitable and sustainable farm business.